Discover the rural and urban areas of Langkawi, a beautiful archipelago home to various natural and man made attractions. 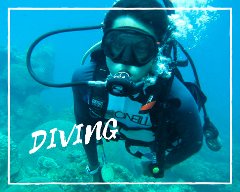 This Private Langkawi Discovery Tour takes you off to the charming villages and lush untouched sceneries. 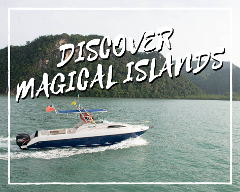 Most people feel the serene beauty of Langkawi islands, is best appreciated on a laid- back yacht cruise. But if you’re the type that craves speed exhilarating excitement, it’s best you rocket around the islands in the Sea Vulture instead. 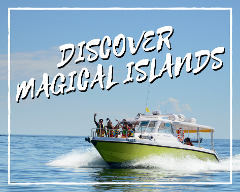 Cruising with our stunning Sea Heron and view the southern magical islands and the scenery of Tuba Island long stretched Mangrove. Enjoy the unique and magnificent rock formations of the neighbouring mini islands at the southern part. Family holidays are all about spending time with your loved ones whilst also having the opportunity to enjoy precious time to yourselves. Whether you seek a relaxing beach holidays. 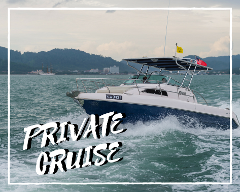 For those who want to spend relaxing in a haven of serenity without interruption for a truly indulgent, carefree and relaxing holiday enjoy an escape that caters to all your wants and needs on the exclusive Silver craft Sea Hawk. 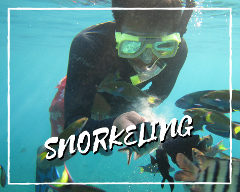 Immerse in the untold pleasures of snorkeling in the tranquil and crystal clear underwater coral garden on the south-west tip of Pulau Payar-gazette Marine Park which is an hour's boat ride from Paradise 101. 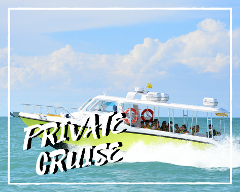 Explore the southern islands in the privacy of our Sea Heron Touring Boat which will take you on a cruise of discovery in comfort and style. Cruise by the picturesque straits sheltered in between the uniquely shaped Isles. 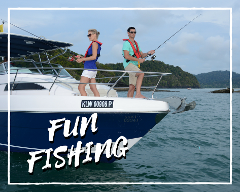 If fishing is your thing, don't miss this 4 hours fishing expedition around the secret fishing grounds at some of Langkawi's scenic islands. Standing majestically on the northern coast of Malaysia you’ll find the magical Islands of Langkawi - unspoilt and spectacular, with big skies, crashing seas, beautiful beaches and a diverse landscape. 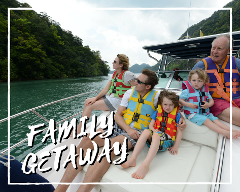 For adventure lovers, our signature and unique tour, Private Southern Discovery Tour on Jet Ski is just about the single most exhilarating activity available in Langkawi and shouldn't be missed. 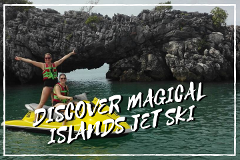 It’s true you could see the same wonderful cliffs, caves, sea arches, mangrove estuaries and secret beaches if you ride on the regular tour boats, but the experience of blasting around this natural paradise on your own jet ski is something.